Blog for fans of Arduino and electronics. Arduino is an open-source platform based on Atmel microcontrollers and a graphical development environment. The Arduino board is designed to be used immediately for experiments. Just plug it into a USB, install the development environment and start programming. If you are here for the first time, start a short tour of this site. Recent changes on the site. Toto je stránka, ktorá slúži ako rozcestník na experimenty s menšou verziou Arduina. ATtiny85 má 8 kB flash pamäte, 512 SRAM a 512 EEPROM. ESP8266 je lacný čip s podporou Wi-Fi. Výrobcom čipu je spoločnosť Espressif Systems. DS18B20 je digitálny senzor teploty s rozlíšením 9-12 bitov. Komunikuje pomocou rozhrania One Wire. Toto je úvodná stránka k využitiu Node.js na spoluprácu s Arduinom. Korg Volca je séria syntetizátorov od firmy Korg. Zaradil som ju sem preto, lebo každý syntetizátor má MIDI vstup a chcel by som napísať niekoľko článkov o ovládaní MIDI pomocou Arduina. In the previous article, we found that our HTTP server cannot handle hypertext that points to a nonexistent page. We've found that the browser will also request favicon. In the previous example, we created an HTTP server with three pages. If you look at the source code of the server, you will find the html directory where are the source codes of HTML pages. In this article, we'll build on the articles we learned to create a simple page and give it a nice responsive design. We will now try to create an HTTP server that contains multiple pages. In the previous article, we created an HTTP server with one page. Pages are formatted with HTML tags. Node-RED can work with serial port. In this article, we will connect the Arduino and the DS18B20 temperature sensor to the serial port. 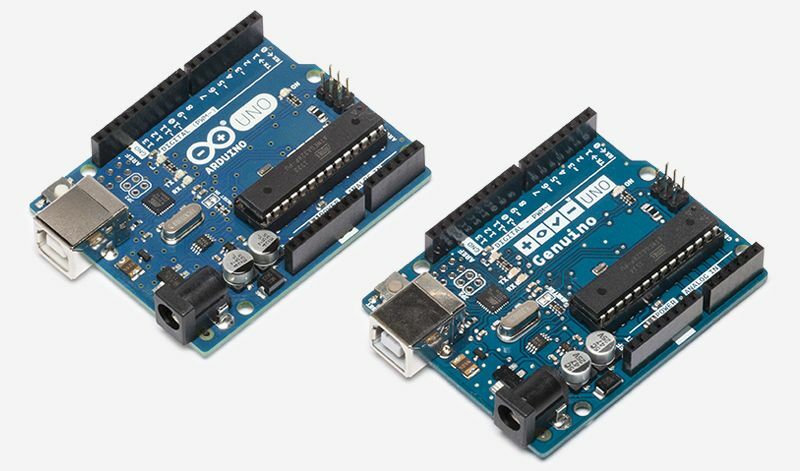 You can find basic information about Arduino on the site. You can use the quick index of root pages at the top of this page. Or use a full index of pages where there are all pages of the site. You can also track progressive changes in the site history. The second part of the site is a blog. There are sequentially written blogs that are sorted by time. The page is usually the starting point of the topic, and there are more articles in the blog that describe the topic. The third part of the site is a list of downloads. It contains libraries, datasheets, and programs for Arduino. All programs for Arduino are also available on GitHub. The fourth part consists of applications. You will find there several applications that interactively calculate the results from the entered values. For example, there is Arduino Timer Calculator. The fifth part is a list of microcontrollers from Atmel. The last part of the site is a list of videos that are complementary to the site or the blog information. Here's the information I've learned about Arduino. The Arduino fans community has a good habit of sharing all the knowledge, and everyone has access to the source texts of the programs as well. This is the second version of the page. I originally used Google Sites where I wrote notes. It took about a year and I have no reason to conceal that at the time I did not know anything about electronics. But by using Arduino, I quickly penetrated the secrets of electronics. I found quite helpful my extensive experience with programming in C++, so I was able to throw myself straight into the creation of programs. Gradually, the volume of data has increased and Google Sites were not enough. So I switched to Google App Engine and in Python I programmed these pages. Google App Engine, on the one hand, is a robust system running on the same infrastructure as Google itself. On the other hand, this is a relatively novel system, where a lot of common things are not available. But programming itself in it is very easy and, compared to PHP, you will wonder at the possibilities there are here. The following pages are related to this one. Facebook - Here I am informing you about what I am doing right now. Google+ - A collection of posts related to Arduino. Youtube - Playlist. If you want more details about videos, you can find them directly on this page. Twitter.com/arduinoslovakia - I'm only publishing video information at this time, but after adding English translations, I would like to inform you about news in English here. Sites Arduino Slovakia - The original version of this page. It contains approximately 100 more pages related to Arduino that have not been moved here. GitHub Programs - All programs written for this page. GitHub KiCad Library - Part library for KiCad. Macko watches macko travels, macko comments - The Travel Blog, where things that are not related directly to Arduino appear. I try to make the content of the site so that it can be easily displayed on both the desktope and the mobile phone. This is working quite well. I also work on translating these pages into English and Czech. I'm using the Cloud Translation API. Neural network translations are improving every day, allowing allowing us to leave translation to artificial intelligence. Some mistakes may appear in the translations, but this should not prevent a comfortable reading of these pages in your native language.